If you find that your engine is not starting or is running poorly, you may have a fouled spark plug. Replacing your Champion spark plug is a low cost and easy fix for many common engine problems. good to have on hand!! 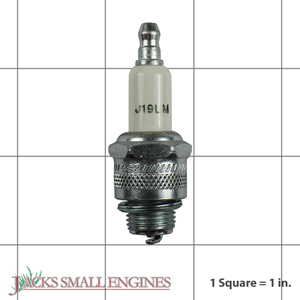 Ask us about the Champion J19LM 861 Spark Plug. Please no repair questions. Your Q&A may be posted to Jackssmallengines.com to help other shoppers, like you, with their purchasing decisions. Thank you.